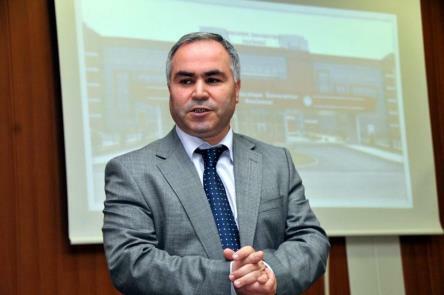 Mehmet Ünlü, a medical professor and the chief physician at the Kocatepe University hospital in Afyonkarahisar until he was dismissed over his alleged links to the Gulen movement, was sentenced to 12 years in prison. According to Kronos online news portal on Thursday, Ünlü rejected allegations raised against him however, was given 12 years of jail sentence on charges of membership to a terrorist organization. The accusations against the professor include his attendance in religious conversation gatherings organized by the institutions affiliated with the movement, intervening in personnel procurement process at the university and having deposited money into the now-defunct lender, Bank Asya. Ünlü said the allegations are groundless. Meanwhile, the court in charge handed over 4 years and 2 months of jail sentence to his wife Arzu Ünlü as well. Turkish government blames the movement for leading the failed putsch in the summer of 2016, a claim the group denies. Bank Asya was earlier confiscated over links to the movement.